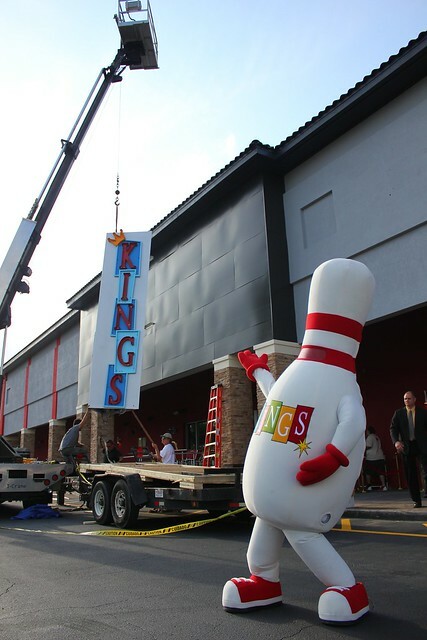 Boston-based Kings Bowl opens its first Florida location today on International Drive, adding more up-scale dining, bowling and quality entertainment to one of Orlando’s busiest areas. 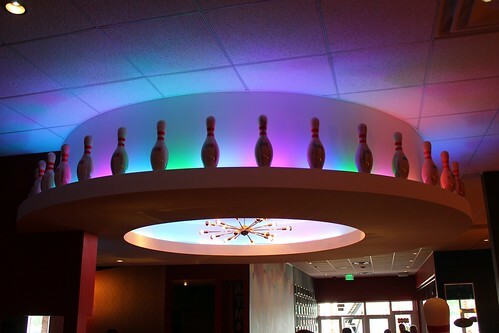 The first establishment to open as part of the “I-Drive Live” project, Kings Bowl Orlando includes 22 full-size, colorfully-lit bowling lanes in a fun and upbeat environment separated into multiple rooms that also include pool tables, shuffleboard, and bocce ball. Adding to the energy are countless TVs and projection screens, weekend DJs, dancing, and plenty of seating for chowing down on the establishment’s excellent cuisine. When I visited during a media preview last week, the venue was just in the process hanging its new sign out front. But inside, all was complete, ready to be shown off after months of construction. 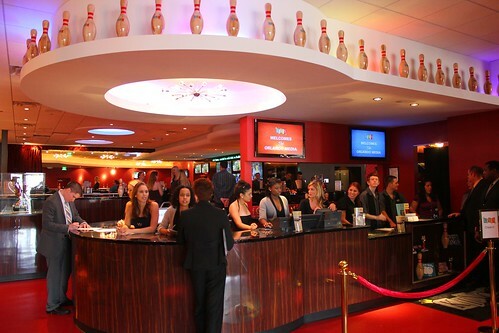 Kings Bowl Orlando isn’t your average bowling alley, feeling more like a nightclub and bar. But it’s not a concept entirely new to Orlando. 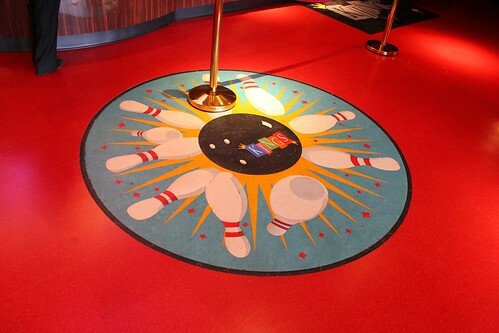 Just earlier this year, Walt Disney World added Splitsville Luxury Lanes to its Downtown Disney lineup, providing an array of late night hang out opportunities wrapped in a bowling atmosphere, remaining family friendly across all hours. 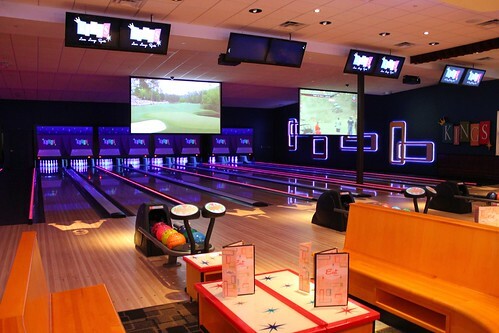 But where Splitsville misses in its merely average food and somewhat cramped lanes, Kings Bowl Orlando picks up the spare by offering an entirely enjoyable experience that’s at times aimed at adults. 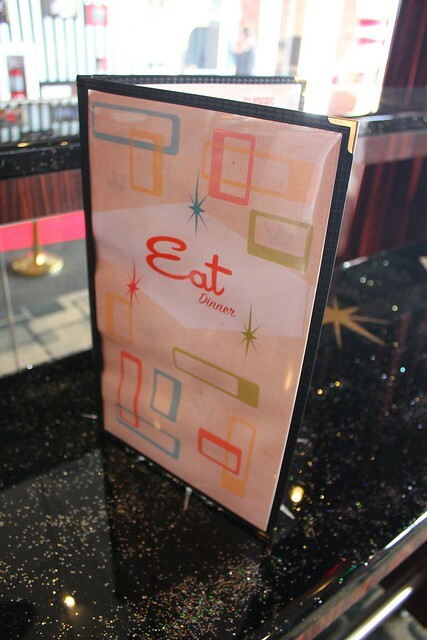 The bowling is fun and easily accessible, with friendly staff helping assign lanes, shoes, and get games rolling. 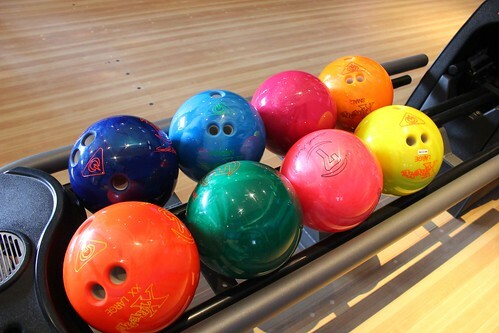 A variety of colorful balls are available in different weights and finger hole sizes and lanes are prepared for the most expert of bowlers, waxed and ready for all to play. 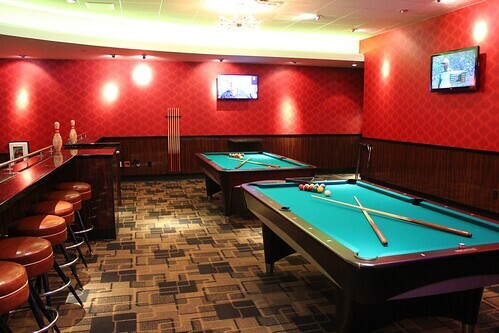 During daytime hours, Kings Bowl Orlando is open to all, encouraging parents to bring their kids for a great time bowling, snacking, and having family fun. But after 6pm, Kings is open only to ages 21 and up, providing Orlando locals and visitors alike a chance to escape and party as late as 2am. 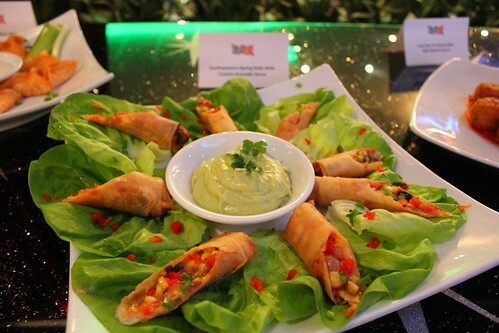 Chefs have created an excellent menu of bold flavors. 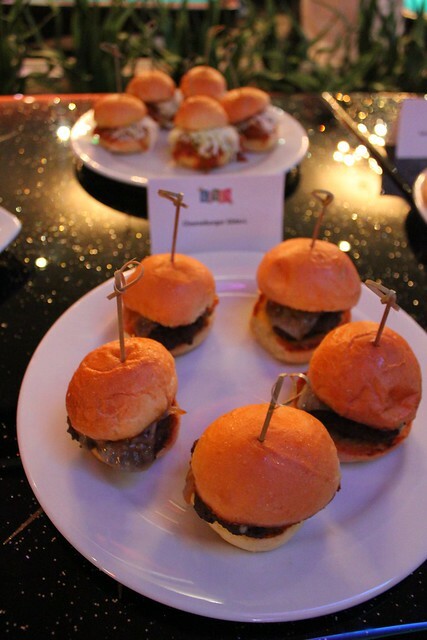 It’s not five-star dining, but it sure beats the average food served at an ordinary bowling alley. And for that matter, it’s far better than anything Splitsville serves. 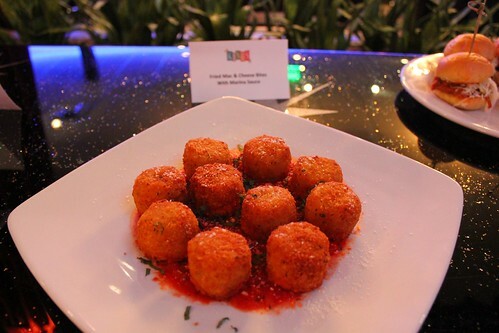 From pizza to southwest egg rolls to sliders to wings to particularly delicious fried mac and cheese bites, every recipe is carefully crafted to offer some extra zing. And that’s just the appetizers. 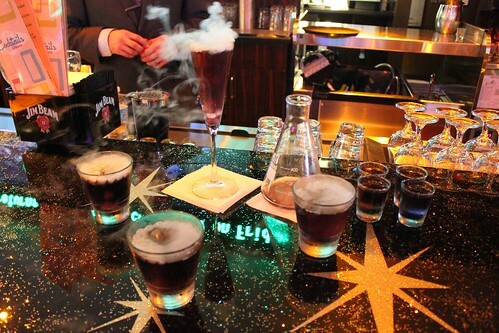 Adults will also discover plenty of inventive alcoholic drinks created for Kings. 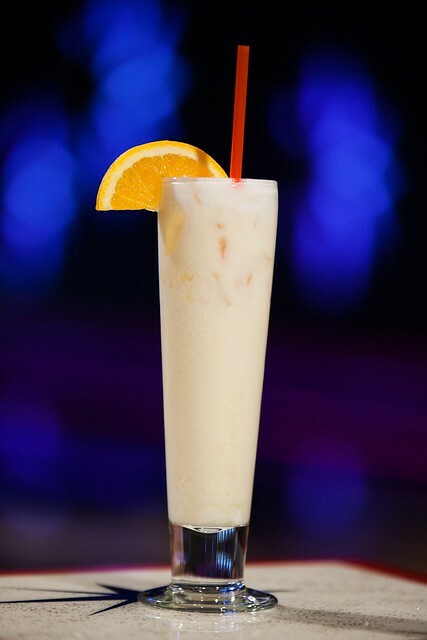 The Orange Creamsicle is a winner for its creamy sweetness with a kick while the Fizzy Lifting Drink stands out for its creativity, borrowing a familiar name from “Willy Wonka and the Chocolate Factory” and served bubbling over with dry ice. 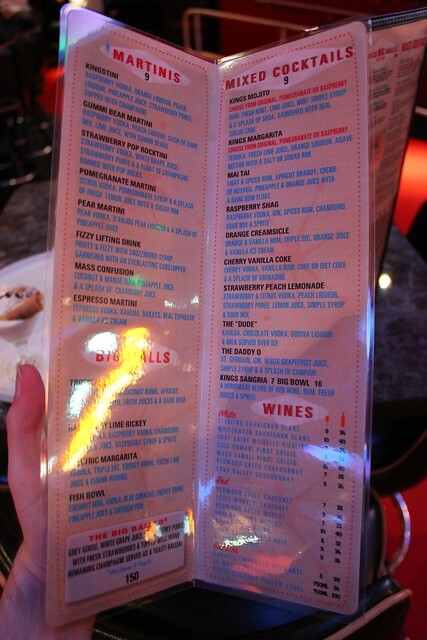 The whole drink menu is worth exploring. 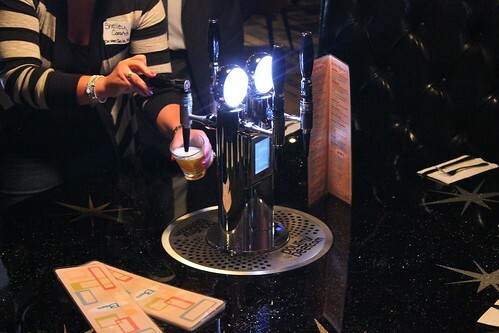 And those looking for refills all night might want to park themselves at one of Kings’ booths with serve-yourself beer taps. 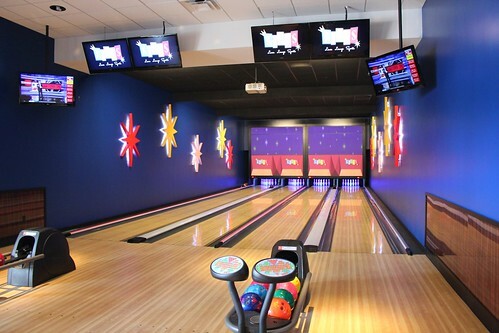 Though it may not look like much on the outside, located in a strip mall tucked away between International Drive and Universal Boulevard, Kings Bowl Orlando will surprise everyone who steps inside with its attention to quality and style. In the coming years as the I-Drive Live project grows up, Kings Bowl Orlando will have many new neighbors including Madame Tussauds wax museum and the Orlando Eye giant Ferris wheel. 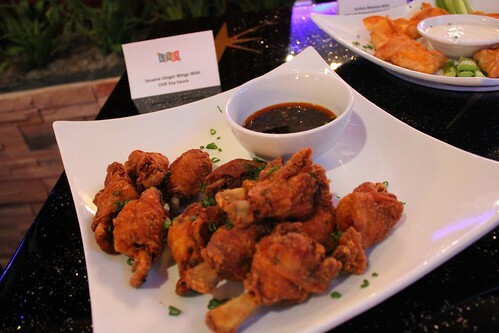 But for now, Kings is the new hot spot of the area. Kings Bowl Orlando is located at 8255 International Drive, between Ripley’s Believe it or Not and Charley’s Steakhouse, next to the large I-Drive Live construction site. 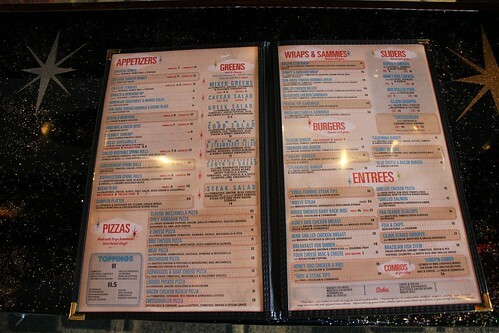 Full food and drink menus along with more information can be found on the Kings Bowl Orlando web site. But Splitsville has good sushi, right?